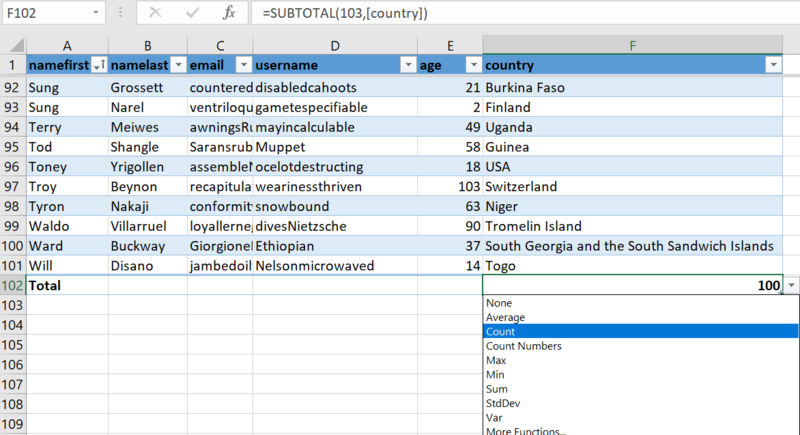 You are here: Home / Blog / Totals In Excel With No Formulas! Totals In Excel With No Formulas! Hello, Excellers. Today’s blog post in the #formulafriday continuing series is a little bit different. Usually, we discuss formulas, it is Friday after all! 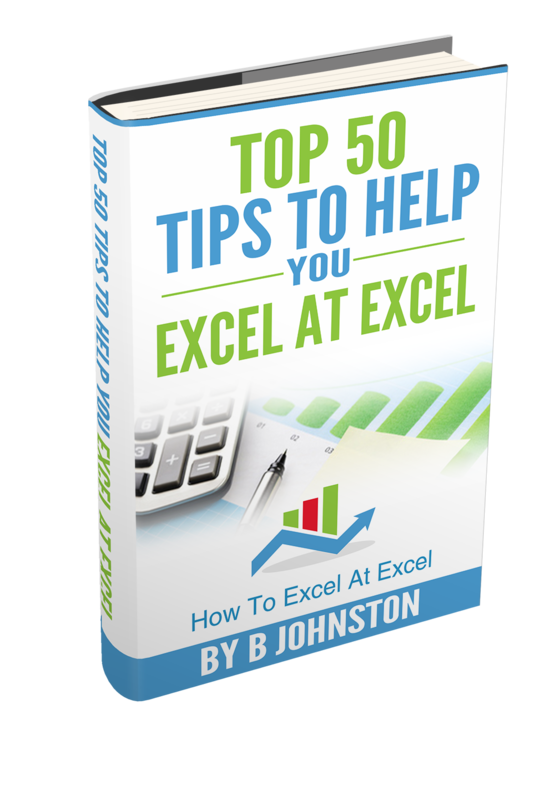 Today though we will discuss how to achieve easy totals or totalling in Excel. 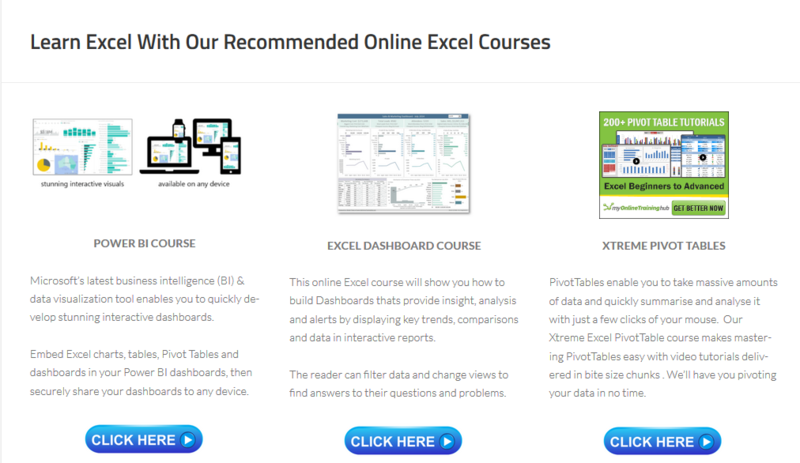 This feature is not restricted to using Pivot Tables but can be achieved by making use of Excel Tables. Check out my YouYube videos for some Pivot Table basics. Or you can view my YouTube Videos which are linked below. Tables began many years ago as Lists until 2007. As part of the menu Ribbon, however, they are a powerful tool in extending Excel’s functionality and increasing its efficiency. 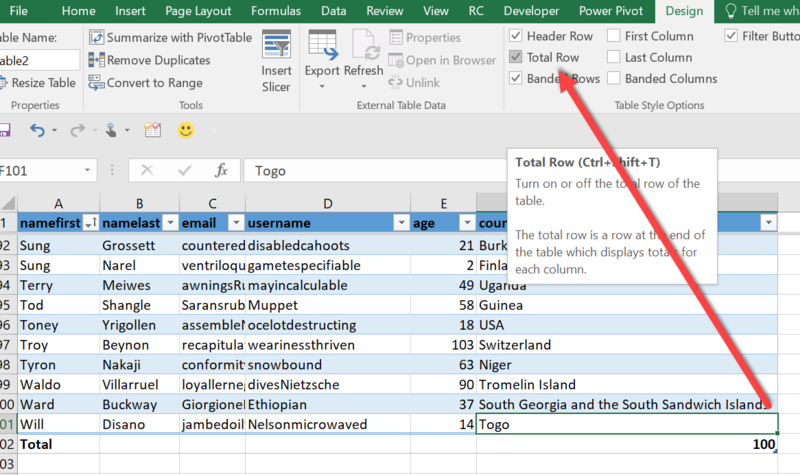 So back to the main reason we are here for this blog post, how to use or view totals in your worksheet without the use of Formulas or indeed any Pivot tables. This will insert a row under your table with the appropriate calculation. In this example, it has counted the number of rows in my table. If this column had been numerical then it would have displayed the SUM of the values. Once you click on the last or Total row then you will see a drop-down box with a selection of automatic calculations that can be used. It is then really easy to carry out calculations WITHOUT FORMULAS.